Being a pastor’s wife is a challenging role. Life, itself, is under the magnifying glass. 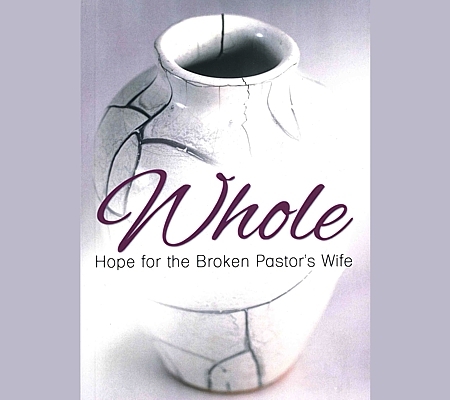 Reading through the chapters of her book Whole: Hope for the Broken Pastor’s Wife Jennifer blends biblical truth and insights from years of experience to offer encouragement for spouses of ministry leaders. Jennifer Willcock grew up dreaming about being a writer. A voracious reader from a young age, she knew she wanted to tell stories like the many authors she read. She blogs her stories at jenniferwillcock.com and wrote a book, Whole: Hope for the Broken Pastor’s Wife which was published in February 2017. Jennifer’s husband, Mark, is lead pastor at a church in Kitchener, Ontario. They have two boys and a dwarf rabbit, Whiskers. Jennifer enjoys a piping hot cup of coffee, and going to the ballet or symphony. Someday she hopes to retire to a secluded mountain top.